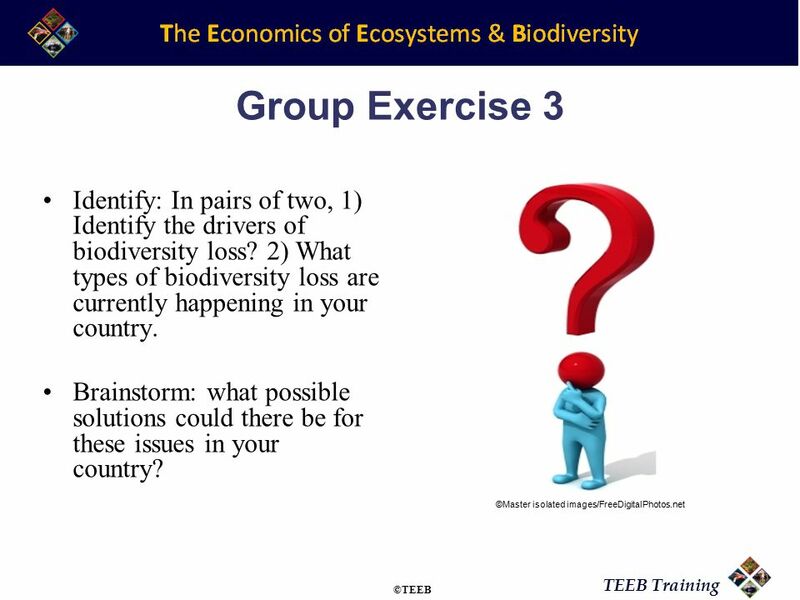 TEEB Training Session 2: Biodiversity Loss ©TEEB. 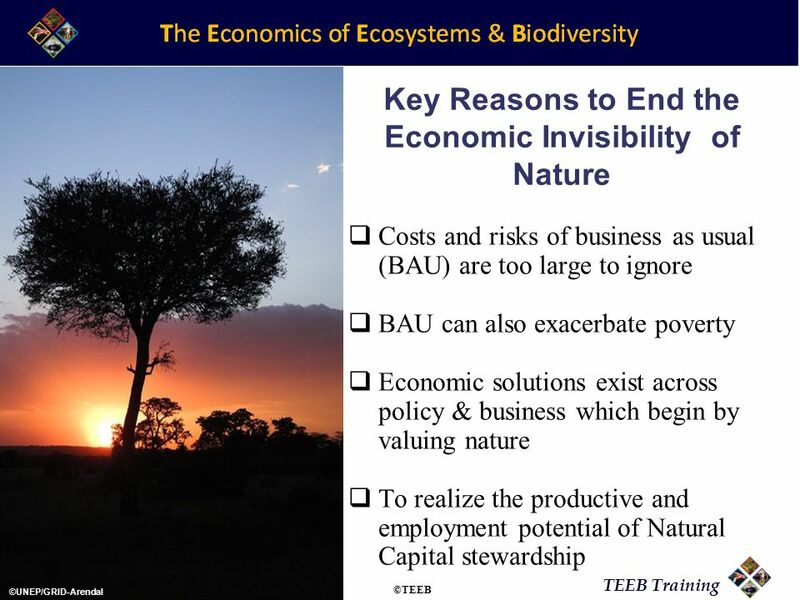 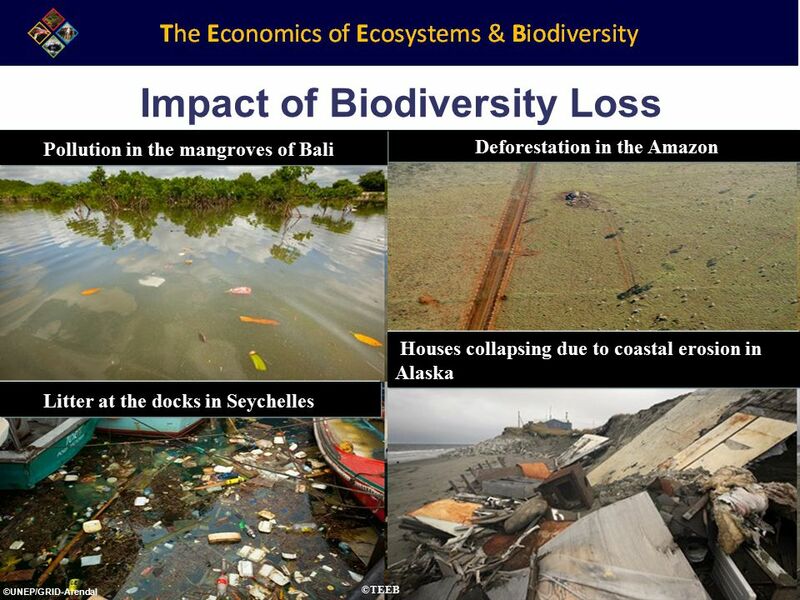 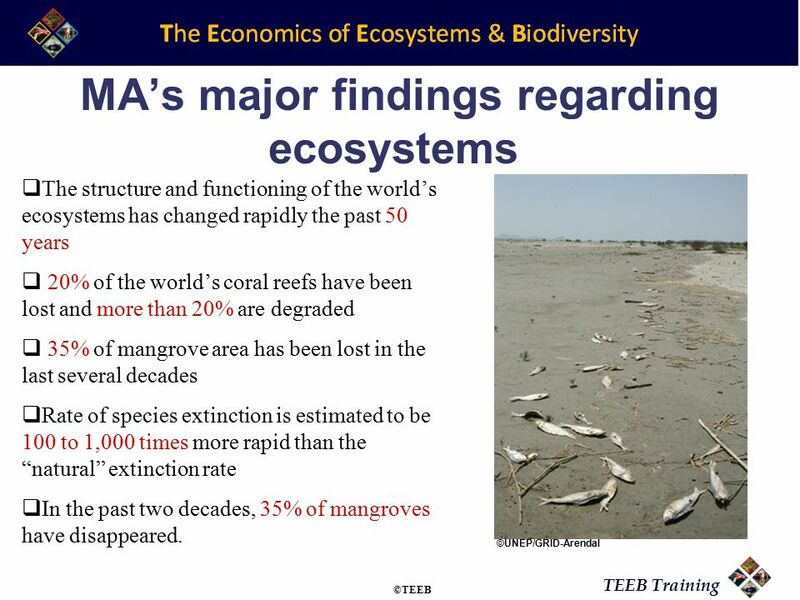 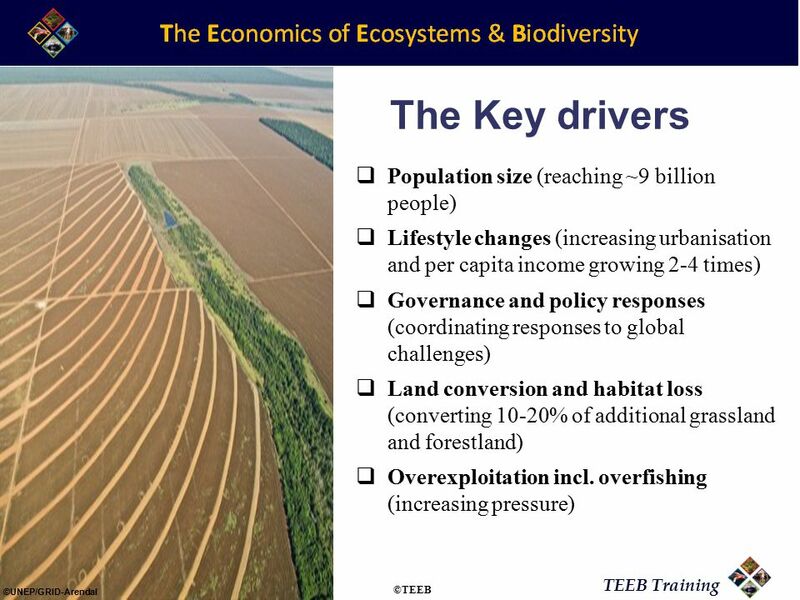 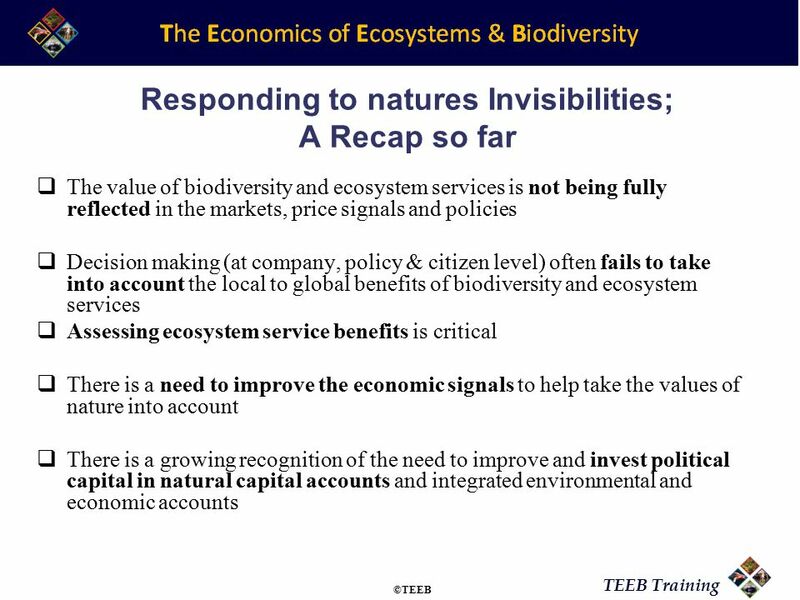 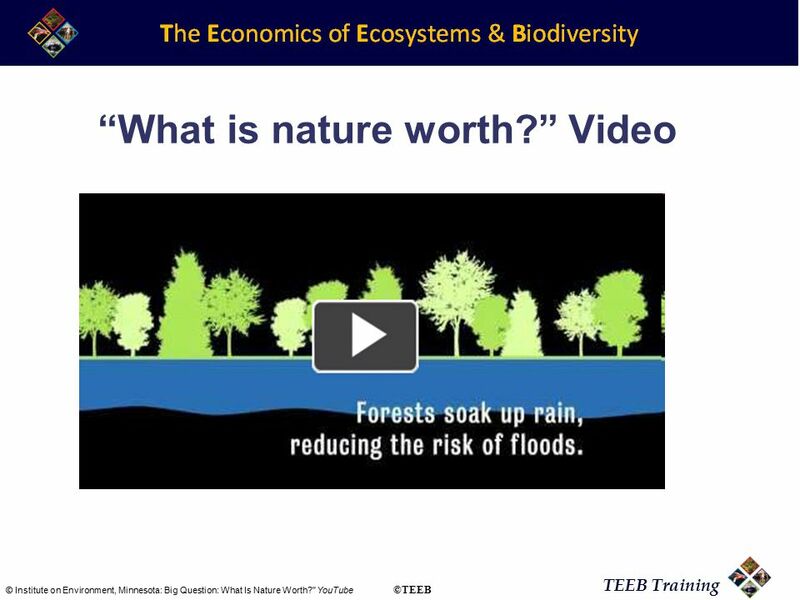 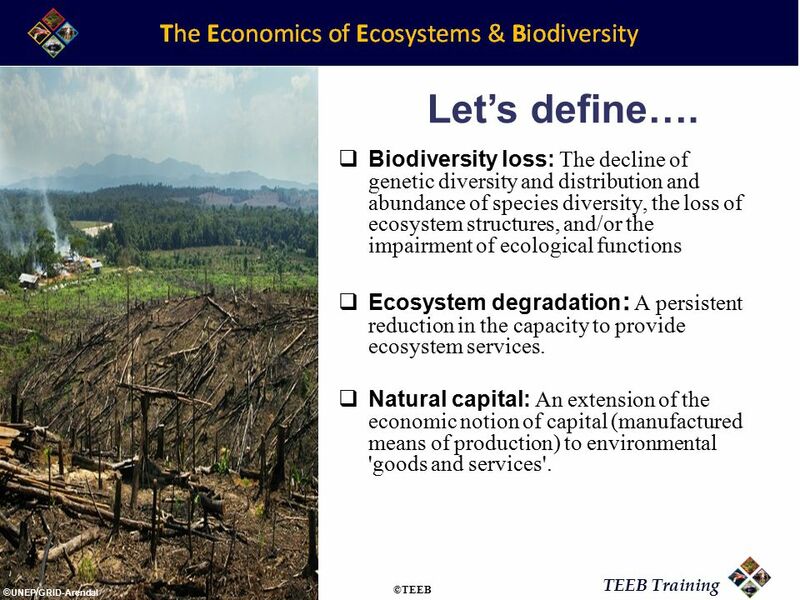 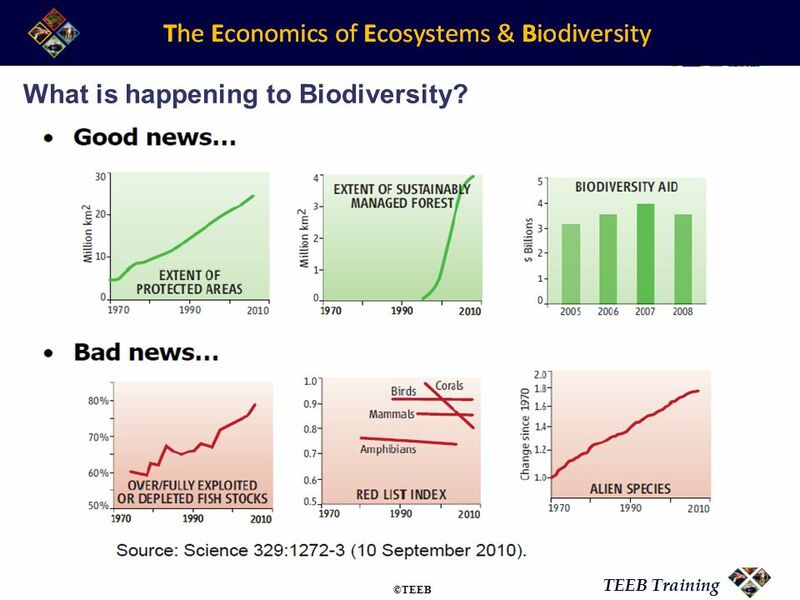 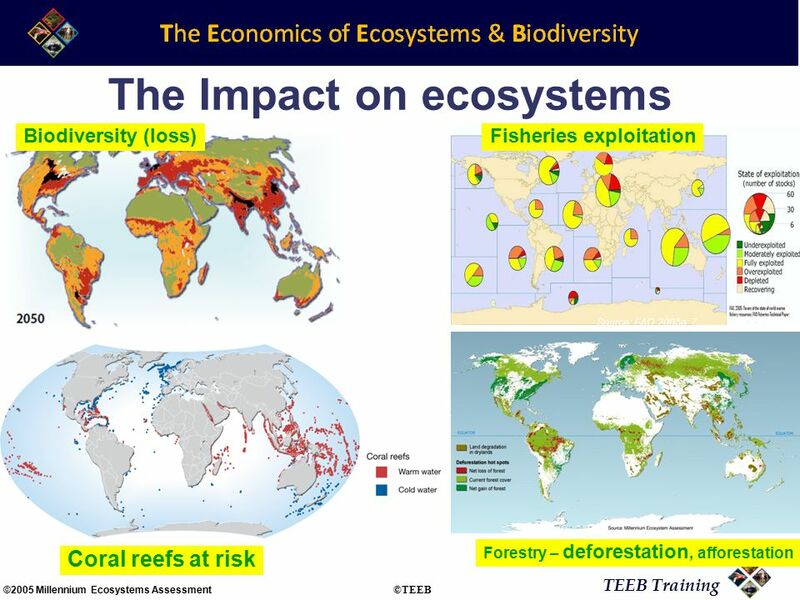 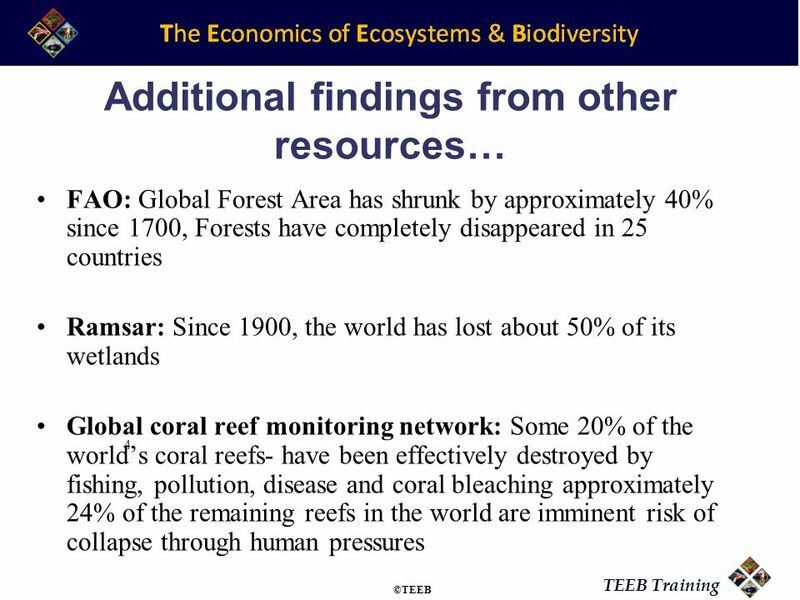 Download ppt "TEEB Training Session 2: Biodiversity Loss ©TEEB." 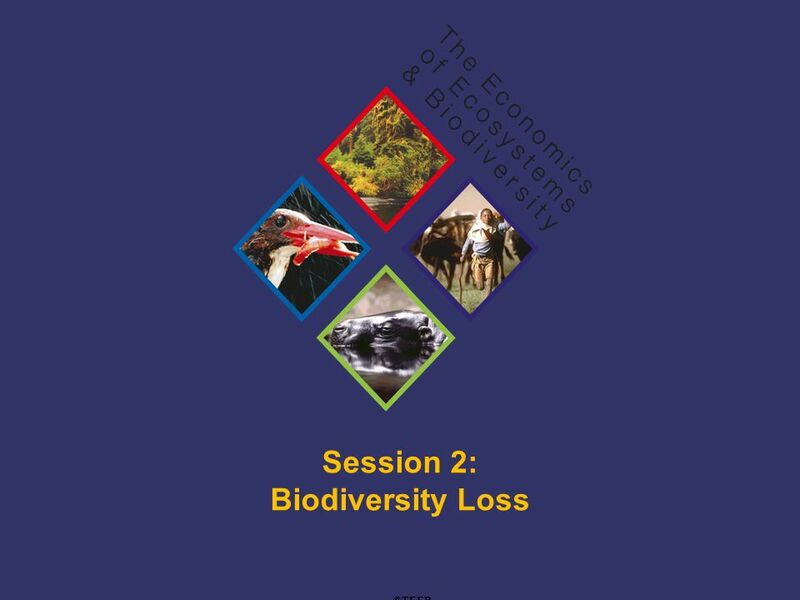 R E 1 Cross-scale Assessment of Biodiversity ; Opportunities and Limitations of the GLOBIO3 model and the Natural Capital Index (NCI) framework International. 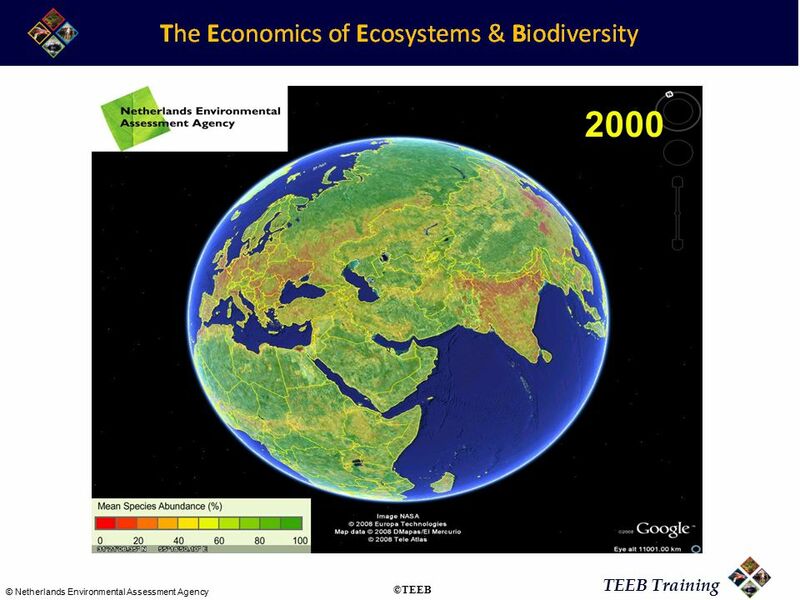 EuropeAid EU Biodiversity Action Plans Mikolaj Bekasiak EU Delegation Azerbaijan Gabala, 5-7 July 2010. 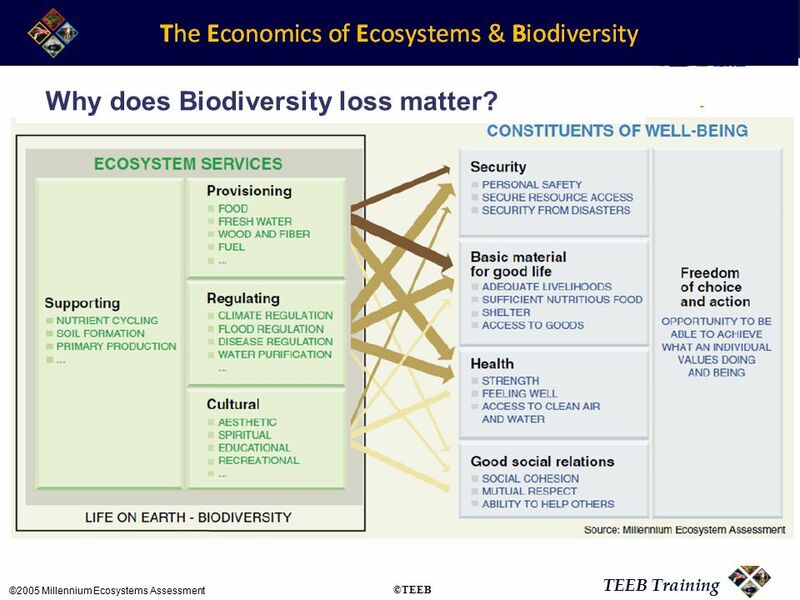 Geneva, September 2007 Ecosystems World Business Council for Sustainable Development Doing Business with the World - The new role of corporate leadership. 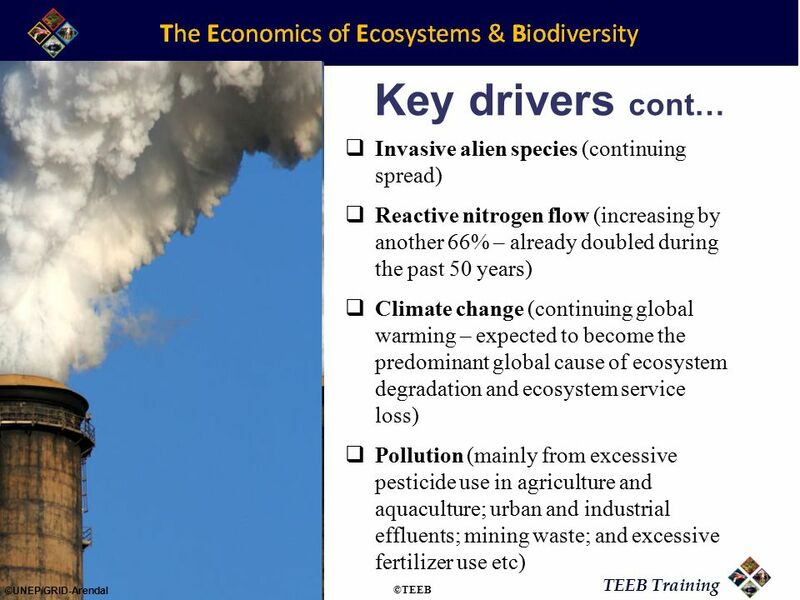 European Environment Agency Europes Environment: The Fourth Assessment – Slide 1 Europes Environment The fourth assessment. 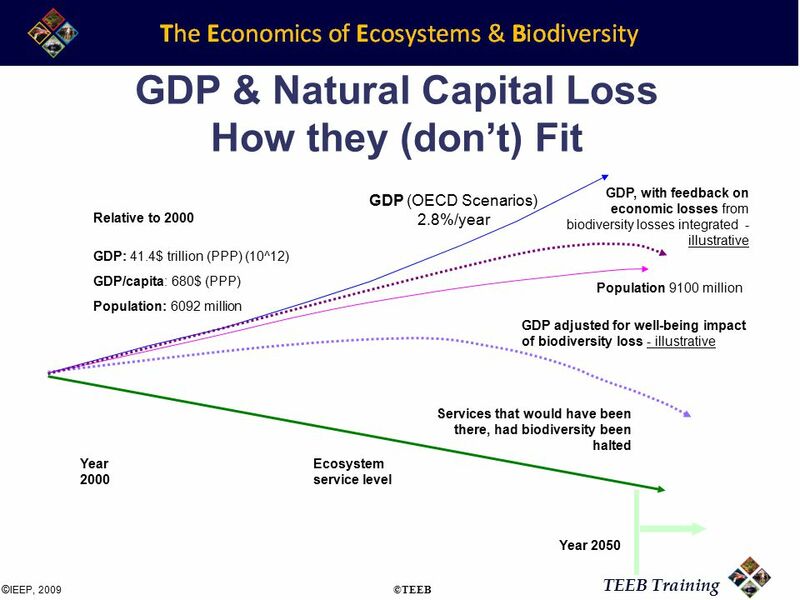 Green Growth OECD – CANADA 50 YEARS 3 rd June 2011 Simon Upton, Director, Environment. 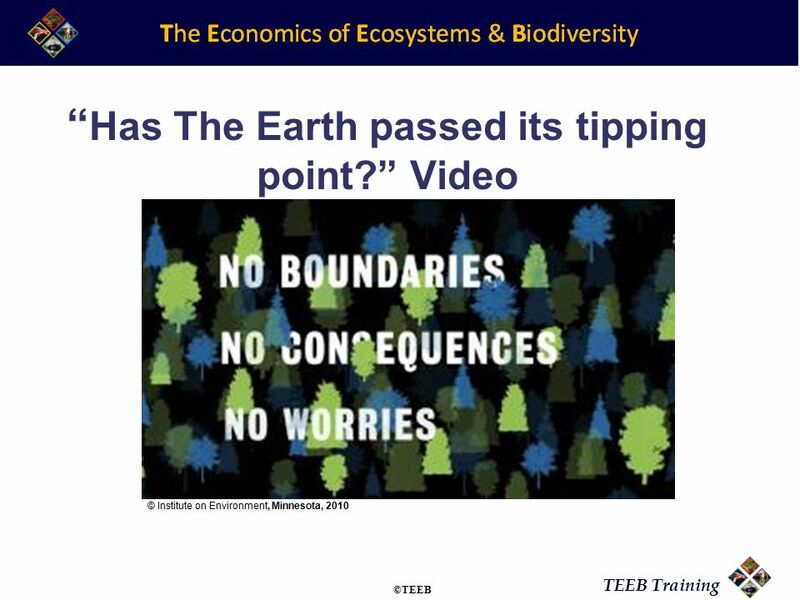 Biodiversity: Policy Challenges in a Changing World Natural Capital Initiative symposium: “Valuing our life support systems” London Professor John Beddington. THE EUROPEAN ENVIRONMENT STATE AND OUTLOOK 2010 Thomas Henrichs European Environment Agency. 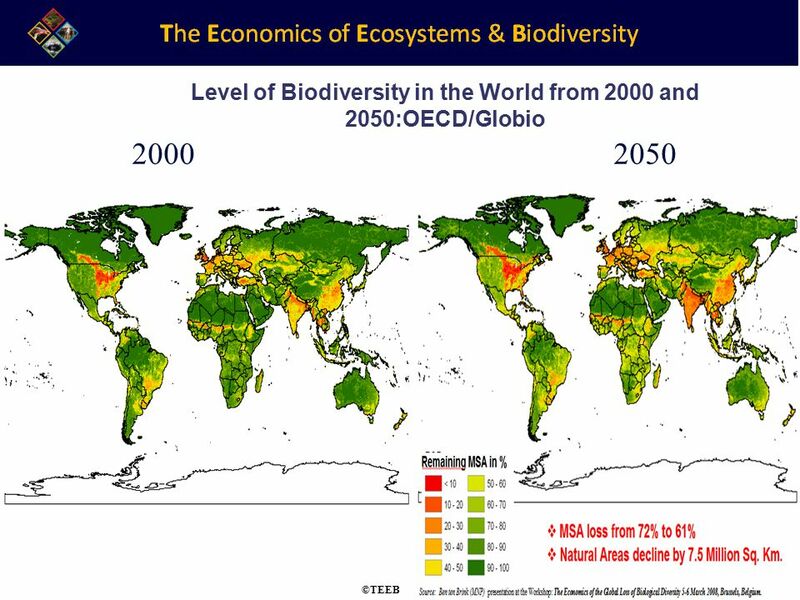 “The US Role in Global Population-Environmental Links” AAAS Annual Meeting.